The parents of a 6-month-old boy were devastated after finding that their son had suffocated to death in his drop-side crib. The rail of the crib slid off the tracks and created a gap between the drop-side of the crib and the mattress. This gap was large enough for him to slide down and become trapped. While trapped his head got stuck, face down, between the crib and the mattress where he ultimately suffocated and died. Parents and caregivers usually breathe a sigh of relief when they place a child inside a crib. They believe children are unable to get into the countless hazards homes and childcare facilities often present. As the parents in the story above discovered, this is not always the case. Since 2005 there have been 11 separate drop-side crib recalls. These recalls have resulted in the removal of over 7 million cribs from the marketplace. Since 2000 there have been a minimum of 32 confirmed deaths and another 14 suspected deaths attributed to defective drop-side cribs. In 2009 the Consumer Product Safety Commission (CPSC) issued a recall for 2 million StorkCraft drop-side cribs, which was the largest single recall in CPSC history. The danger from drop-side cribs comes from gaps that can form between the mattress and the drop-side. Another hazard occurs when the drop-side detaches from the upper corner creating a “V” where the child’s head or neck can get caught. Children can get stuck in these gaps in a variety of positions and can become seriously injured or suffocate and die. Screws, tracking, pegs, and bolts, on the drop-side (especially plastic) can warp or break. Certain types of wood can cause hardware to become loose. Drop-side can be installed improperly causing increased wear and improper function. Cribs are often assembled, disassembled, and reassembled multiple times throughout the life of the crib, causing the pieces and instructions to get lost or damaged resulting in incorrect use. The drop-side track becomes worn due to use and can easily be pushed off track. The childcare safety professionals at West Bend and the Consumer Product Safety Commission (CPSC) recommend drop-side crib owners to immediately identify the make and model of the crib and check to see if it is already on existing recall lists. 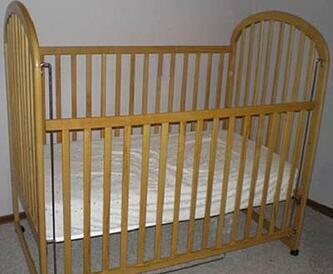 It is recommended that the use of any cribs with loose, absent, damaged, or broken parts be discontinued. Routinely check all crib hardware to make sure they are adequately tightened and that the crib is sturdy. Inspect all corners and connection points to make sure there is no disengagement or weakening of connections. There should not be more than a one- or two-finger width space between the mattress and the side of the crib. New cribs are added to the recall list frequently. Continually check our childcare products recall feed for an updated list of all cribs affected as well as other important recalls. If your crib is on the recall list discontinue use immediately and contact the crib manufacturer as you may be entitled to either a refund or a retrofit kit. Retrofit kits are designed to immobilize the drop-side of the crib and eliminate the hazards. Make sure to only use manufacturer direct retrofit kits and to follow installation direction exactly. 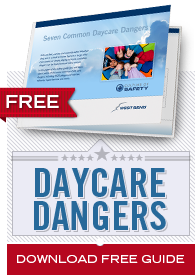 The dangers of drop-side cribs are widely known by both manufacturers and retailers. Many major crib makers have planned to cease production before a government ban is implemented, with many aiming for a June 1, 2010 cease production date. Retailers like Babies-R-Us and Wal-Mart, have already stopped carrying them due to safety concerns. State and federal legislation is in the works advocating an outright ban on both the sale and use of all drop-side cribs. Some counties across the country have created their own bans until the federal ban is implemented. The most significant danger concerning drop-side cribs is no longer the purchase of new ones, but the continued use of cribs that may have already, or soon will be, recalled. Individuals may have used the same cribs for years without realizing the deadly hazards they pose. Also, buying cribs second-hand is another area for concern and places like Craigslist and eBay are filled with cheap drop-side cribs. Understanding the dangers drop-side cribs pose and knowing whether your cribs pose these dangers is crucial in keeping children safe.